WAiting for growth. It came smaller than I expected but it is taking longer to grow...still waiting! The color on these work well with the rest of my landscape! I ordered these and grew them near my tree they look really well. Climacium Tree Moss - Climacium dendroides. This species of moss thrives on the floor of humus rich forests, near lakebeds and ponds. It was named "moss of the year" in 2017, even though it looks like tiny trees. This species is native to the West Coast, from California to as far north as Alaska. It is not particularly in abundant, but it is commonly seen. This plant grows 2-10 cm tall, and has a distinct brown stem, much like a tree trunk. Climacium Tree Moss is also known as Climacium Dendroides in the botanical community. 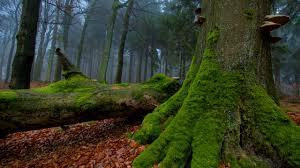 This moss prefers environments with deep shade but can even withstand areas that offer partial sunlight. It will grow in a horizontal pattern, meaning it will grow outward instead of upward. This moss has subterranean stems that help it grow and get the nutrients and minerals it needs to be a contributing member of the garden area. Surprisingly enough, this plant will have rapid growth during the winter months of the year, making it an excellent choice for any garden area or landscape. This is also when it obtains its new growth and will be ready to dazzle the garden in the spring months. It prefers soils that are very moist and wet and almost swamp-like in content. This moss is exceptionally hardy and can grow in a multitude of climates and environments with no issues at all. It is ideal for those new to gardening and those new to planting moss in general. It is very popular and a top choice for gardeners and those who are botanical-minded. This is the ideal plant for shady areas. This is because it will take an area where many other plants and flowers have trouble growing and developing and transform it into a tranquil looking area with lots of green color and life. Planting in mass will help with adding more color and texture to an area. Climacium Tree Moss is indeed a great choice for any garden or landscape and will bring a lot to the table.